A software utility designed to take snapshots of your desktop screen and record the audio from your Skype conversations or YouTube videos. 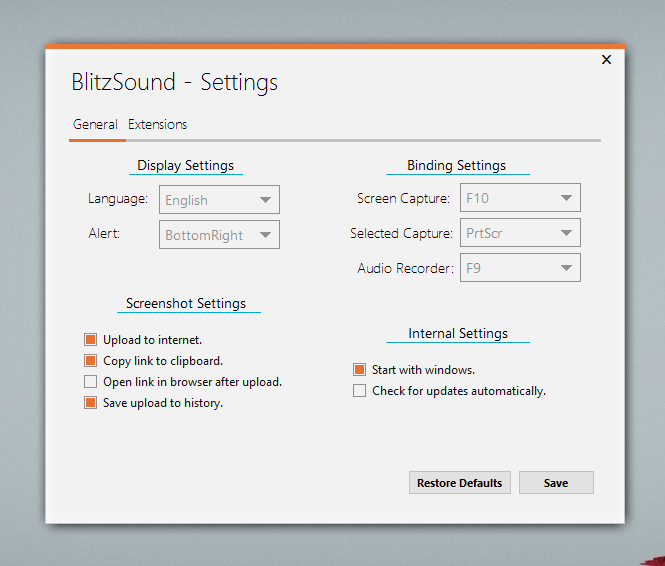 BlitzSound - it's a simple application, which can capture your special moments and pieces of your favorite song from a youtube video, or a TeamSpeak3/Skype conversation without any problem. One press of the button screenshot. One press of the button record everything you hear. YouTube Extension, download and convert from youtube with ease. Implemented "Auto-Convert after download from Youtube." Settings: Added an option which allows you to select where the alerts will pop-up. Settings: Removed "Save cursor in screenshot"
Settings: [YT]You can allow the application to auto-download from youtube, or not. 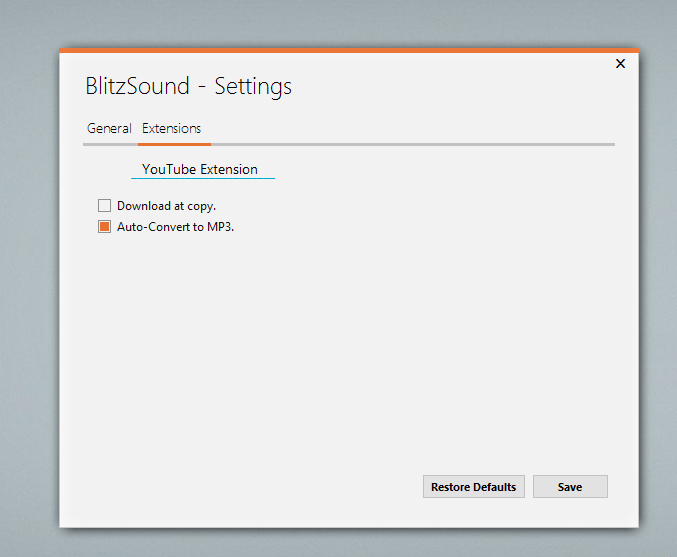 Settings: [YT]You can choose to convert the video to .mp3. 3,312 5,168 Senaris Network Jul 14, 2014 - 11:45 3.0.13 5.03MB EXE , out of 1 Votes.